Charles B. Pierce (June 16, 1938 – March 5, 2010) was an American film director, screenwriter, producer, cinematographer and actor, and is considered one of the first modern independent filmmakers. Pierce directed thirteen films over the span of 26 years, but is best known for his cult hits The Legend of Boggy Creek (1972) and The Town That Dreaded Sundown (1976). Pierce was born in Hammond, Indiana, but moved to Arkansas early in his childhood. After working in production jobs at television stations, Pierce moved to Texarkana and started an advertising agency. He made his directorial debut with The Legend of Boggy Creek, a faux documentary-style film inspired by the sightings of a bigfoot-like creature in southern Arkansas known as the "Fouke Monster." The film was primarily funded by local Texarkana businessman, L. W. "Buddy" Ledwell. After completing the film, Pierce rented a local movie theater to begin showing it prior to its distribution through Howco International. The low-budget film eventually grossed nearly $25 million. Pierce followed the success of The Legend of Boggy Creek with several inexpensive, regional films set in Southeastern and Southwestern United States. Among these were Bootleggers and The Town That Dreaded Sundown, a movie based on the true story of the Phantom Killer (Moonlight Murders) in Texarkana. Pierce continued directing films into the 1980s, when he wrote the story for the Clint Eastwood film Sudden Impact (1983). For that screenplay, he is said to have written the phrase, "Go ahead, make my day," which became one of the most famous movie quotes in history. After years of pressure from producers, Pierce directed a Boggy Creek sequel, Boggy Creek II: And the Legend Continues (1985), which he considered the worst film of his career. The sequel was featured in a 1999 episode of the comedy television series Mystery Science Theater 3000, which ultimately increased Pierce's visibility. His last film was Chasing the Wind which was released in 1998. 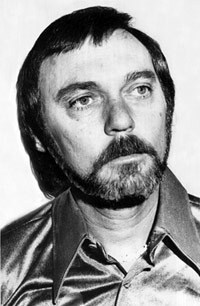 Pierce died of natural causes on March 5, 2010 in Dover, Tennessee.